Located on the riverwalk, this family-friendly hotel is within 6 mi (10 km) of Chateau de Lanquais, Moulin de la Rouzique, and Chateau de Tiregand. Chateau de Monbazillac is 10.6 mi (17.1 km) away. Saint-Capraise-de-Lalinde Station is 23 minutes by foot. Situated in a rural location, this campground is within 9 mi (15 km) of Moulin de la Rouzique, Cadouin Abbey, and Chateau de Lanquais. Les Grottes de Maxange and Vezere Valley are also within 9 mi (15 km). 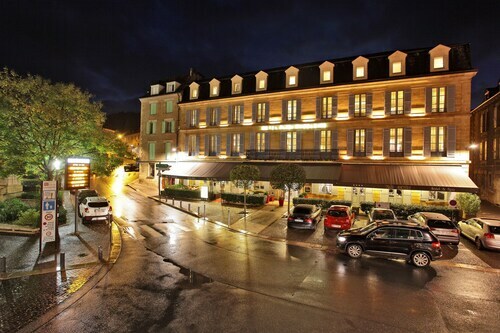 Located in Sarlat-la-Caneda Historic Center, this hotel is steps from Manoir de Gisson and Place de la Liberte. Sarlat Cathedral and Office de Tourisme Sarlat Perigord Noir are also within 5 minutes. Sarlat Station is 22 minutes by foot. 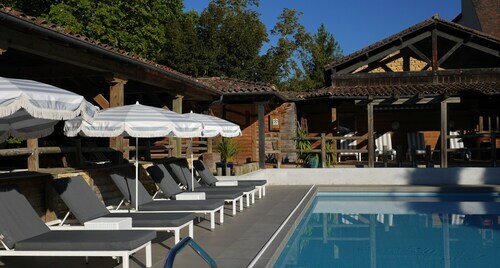 Situated in Les Eyzies-de-Tayac-Sireuil, this spa hotel is within a 10-minute walk of Vezere Valley and Musee National de Prehistoire. Abri Pataud and Grotte du Grand Roc are also within 1 mi (2 km). Les Eyzies-de-Tayac-Sireuil Station is 6 minutes by foot. 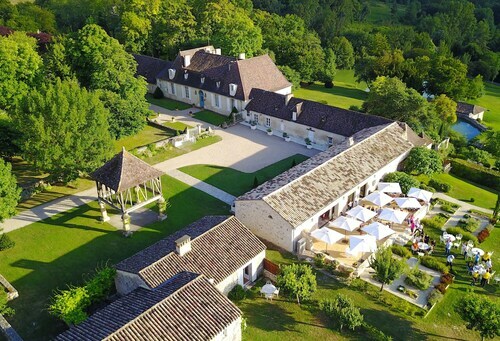 Situated near the airport, this hotel is within 9 mi (15 km) of Chateau de Monbazillac, Chateau de Tiregand, and Bergerac Maison des Vins. Cyrano de Bergerac Statue and Chateau du Haut Pezaud are also within 9 mi (15 km). Situated in a rural location, this hotel is within 9 mi (15 km) of Moulin de la Rouzique, Jardins Panoramiques de Limeuil, and Vezere Valley. Musee Napoleon and Chateau de Lanquais are also within 12 mi (20 km). 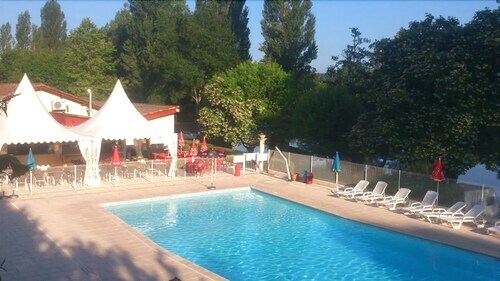 Situated in a rural location, this campground is within 9 mi (15 km) of Aquarium du Perigord Noir, Proumeyssac Chasm, and Golf de la Forge. Grotte des Combarelles and Lolivarie Golf Club are also within 12 mi (20 km). Situated in a rural location, this hotel is within 2 mi (3 km) of Office de Tourisme Sarlat Perigord Noir, Sarlat Cathedral, and Cour des Fontaines. Cour des Chanoines and Place de la Liberte are also within 2 mi (3 km). Sarlat Station is 21 minutes by foot. Located in the heart of Sarlat-la-Canéda, this hotel is within a 10-minute walk of Manoir de Gisson, Place de la Liberte, and Sarlat Cathedral. 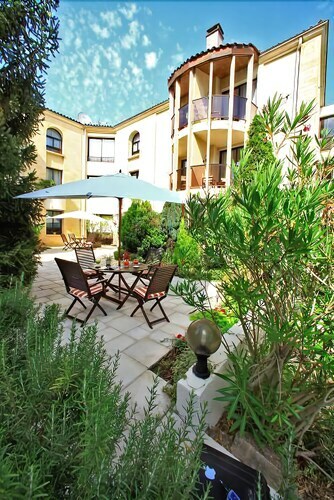 Office de Tourisme Sarlat Perigord Noir and Cour des Fontaines are also within 15 minutes. Sarlat Station is 27 minutes by foot. Situated in a rural location, this romantic hotel is within 9 mi (15 km) of Jardins Panoramiques de Limeuil, Vezere Valley, and Cadouin Abbey. Aquarium du Perigord Noir and Parc le Bournat are also within 9 mi (15 km). Trémolat Station is 19 minutes by foot. Situated in Monpazier, this historic hotel is within 9 mi (15 km) of Chateau de Biron, Perigord en Caleche, and Parc En Ciel. Museum Bernard Palissy and Cadouin Abbey are also within 12 mi (20 km). 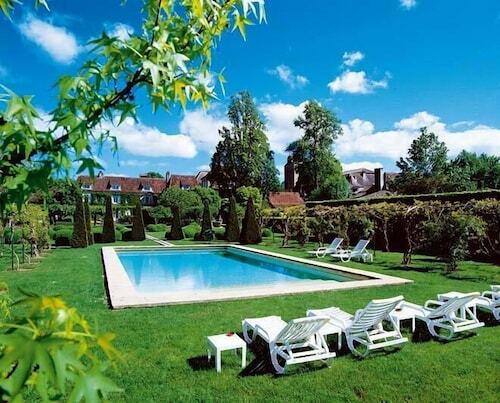 This family-friendly Biron hotel is within 3 mi (5 km) of Chateau de Biron and Parc En Ciel. 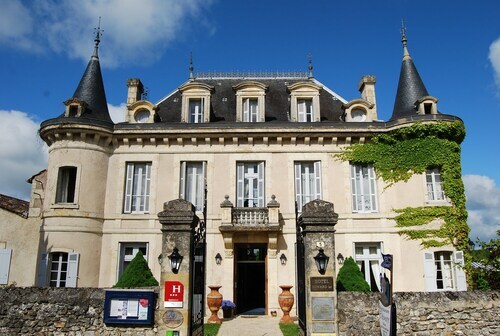 Museum Bernard Palissy and Chateau de Gavaudun are also within 6 mi (10 km). Looking to live it up on your vacation with a bit of luxury? Or maybe you’ve decided that your boss can afford to put you up at a place of your choice on your next business trip? The best part about staying in Tremolat 4 star hotels is that you’ll often be close to all the local sights and attractions. Whether you’re visiting the area for the first time or you’re back in town for more fun, a 4 star hotel is going to put you right in the heart of all the action. Plus, you can rest easy knowing that you’re being well taken care of during your visit. Instead of worrying about where to eat or what to see, your friendly hotel staff will be happy to help you get whatever you need. 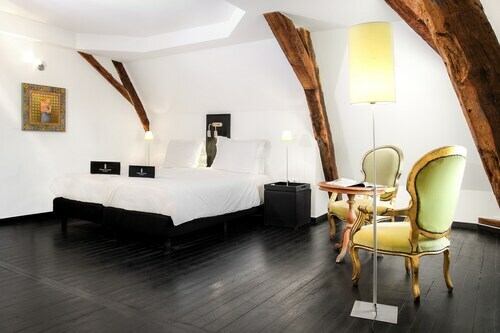 The best four star hotels in Tremolat will also frequently include access to high-quality fitness centers and pools, so you’ll feel like you’re staying in an exclusive resort rather than a hotel. You won’t have any excuse for not keeping up with your workout routine! If you’re looking for 4 star hotels in Tremolat, you’ll find the most bang for your buck by booking your stay with Travelocity. Go explore a new city, and know you’re getting the best deal on a great hotel with the Travelocity Price Guarantee. Very nice and well located hotel in charming town. We had a large loft room with comfortable bed and nice bathroom. Good breakfast value. The staff was very helpful. They even sent my husband's shirt that he left behind on to a later hotel. The only drawback for those who would find it a necessity is there is no lift.